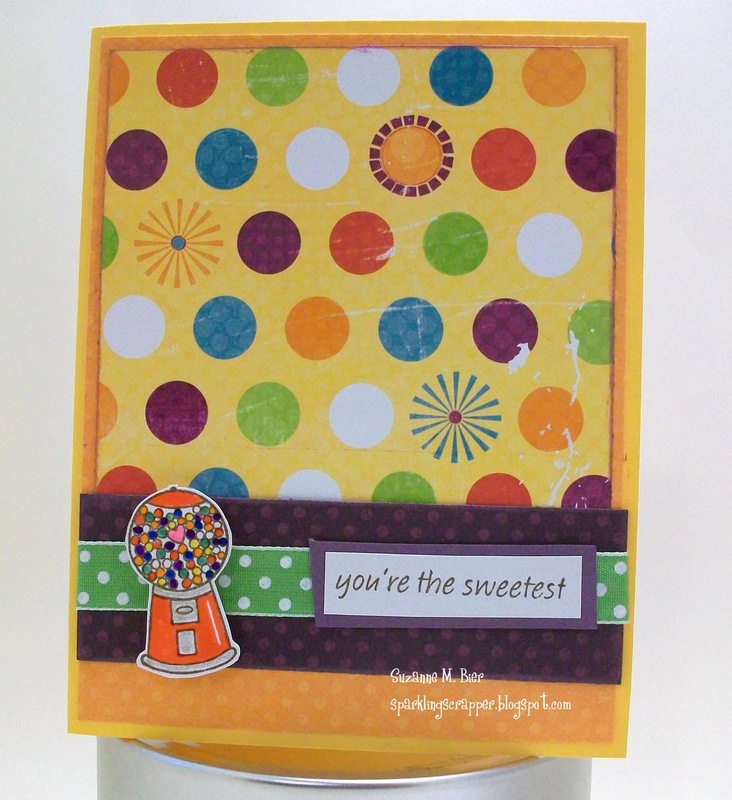 I flipped the sketch and used lots of Bo Bunny’s Sun Kissed collection on this card…the polka dots and bright colors seemed to fit! 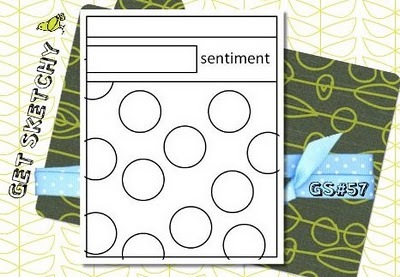 The sentiment stamp is by Memory Box. I colored the image with glaze dimensional pens (even the gumballs). I left a few gumballs white to match the colors in the paper, and used a clear glaze pen to accent a few dots in the top layer of patterned paper (which probably doesn’t show up well in the photo). Thanks for stopping by to look at my card! You can see more entries for this week’s challenge, as well as the design team’s creations at Get Sketchy!